A country that: does not value peace and tolerance; measures its history by armed conflict; does not encourage its citizens to work for social justice; is not concerned with protecting the environment; reveres the monarchy; is mostly Christian; warns immigrants to tame their savage ways; and emphasizes obedience to authority. If you haven't read that post, or have only read the shorter versions published at The Mark and Straight Goods, and at the risk of self-tooting, I recommend it. Many more subtle points were lost for space considerations - and now some of those are producing results. "Discover Canada" does more than illuminate the Harper Government's vision of Canada. For many immigrants, it creates a barrier to citizenship - an intentional barrier, and an unnecessary one. Immigrants from North America or from Commonwealth countries have a distinct advantage: they will have more general knowledge of the history and culture that is included in the citizenship test. We absorb that background knowledge without even realizing it. For example, before moving to Canada, I had never heard of Vimy Ridge and knew very little about the War of 1812, but when I heard and read about those events in Canada, I had background context in which to place them. I could easily grasp their general shape and outline, because they're also part of the history of my country of origin. But if I were from Afghanistan or Vietnam, would I be able to answer questions about Vimy Ridge? Many immigrants are finding that they can't. According to a recent article in the Globe and Mail, the numbers of applicants who fail their citizenship test is climbing, and among certain groups, it is skyrocketing. Across the board, the failure rate jumped from less than 4 per cent in 2009 to nearly 15 per cent last year. Nearly half of the Afghan-born immigrants vying to become Canadians last year, for example, failed; that’s compared to only 21 per cent in 2009. Meanwhile, fewer than 2 per cent of immigrants born in Australia, England and the United States failed last year. The citizenship guide's content has changed, but so has its structure. Another significant difference between the new "Discover Canada" and its predecessors is the new guide's more advanced reading level. A higher reading level means more complicated sentence structures, more advanced vocabulary, more implied knowledge (assumptions not overtly stated), and usually a smaller font. This change can be summed up in one word: exclusion. Most Permanent Residents of Canada who have lived in the country long enough to be eligible for citizenship can speak, understand, and read either English or French very well. But do they understand it well enough to read a complex nonfiction book? (Does every Canadian-born Canadian read at that level?) Why should that advanced reading level be a requirement, and why should it be a barrier to citizenship? Apparently now it is. The Vietnamese Association in Toronto is one of several groups that launched citizenship programs after fail rates skyrocketed. “The classes are a response to the need of the community,” said settlement worker Phuong (Patricia) Do, who runs the classes. “They may have family responsibility such as taking care of the children, or getting a job to share their costs of living, and do not have a chance to learn English as much as they like,” Ms. Do said, adding that many immigrants feel they can communicate in daily life but the test requires a higher proficiency. “I want to engage, be involved in society because my daughter was born here … so I want to get my citizenship as soon as possible,” said Ms. Le, who came from Ho Chi Minh City in 2007 when her husband’s application to sponsor her move to Canada was accepted. She’s still awaiting her test results. “Even though I studied hard, I found the test really, really tough,” she said, noting many questions weren’t straightforward and required critical thinking. She said many of her friends, who work long hours at labour jobs, are unable to dedicate time to studying and face extensive language barriers. In my earlier post, I noted that "Discover Canada" contains ten times as many references to the Queen as the older "A Look at Canada," along with the three pictures of Queen Elizabeth II, the lyrics to "God Save the Queen" (why? this is not the Canadian national anthem), several references to the monarchy, and much emphasis on "the original immigrants" from England, Scotland, and France. To place that in context, the Harper Government spent 28 million taxpayer dollars to celebrate the War of 1812, and another seven or eight million on the Queen's Diamond Jubilee. By contrast, the Government snubbed the anniversary one of Canada's most shining achievements, the Charter of Rights and Freedoms, and is cutting the Interim Federal Health Program (with one tiny exception), which provided health care to refugees for the bargain price of 59 cents per Canadian citizen. For further context, one could gather a laundry list of the well-documented anti-immigrant and anti-refugee statements that have emanated from Minister of Citizenship, Immigration and Multiculturalism [sic!] Jason Kenney. The Harper Government has only one use for brown immigrants: as props for publicity purposes. Kenney's CIC has all but halted immigration, throwing out a self-created backlog of 280,000 applications, and rewriting immigration standards to comply with supposed labour demands, although how they arrived at those demands was not disclosed to the public. The only immigration class growing under the Harper-Kenney regime is temporary workers - people with no rights and no access to permanent settlement. Taken together, we can see that the "Discover Canada" guide is fulfilling the purpose for which it was designed: as a barrier for non-Anglo immigrants. Now that people of colour will soon constitute a majority in Canada's two largest cities, the Harper Government tries to provide an antidote to that trend. People who chose Canada for their new home - who met all the many requirements for immigration - who have lived here for the requisite number of years - who are working, raising a family, participating in their community - and who are motivated enough to study for a citizenship exam - and who could pass an exam if it required a more basic reading level and emphasized present day Canada, rather than a narrow reading of Canada's British Commonwealth past - should be welcomed as citizens. Not excluded. I mentioned this yesterday in my post about the Canadian Peace Alliance's Peace & Prosperity not War & Austerity campaign, but it deserves special emphasis. Since then, the Harper Conservatives have taken another step in their attempt to reshape the image of Canada in their vision. Citizenship ceremonies are now required to include a speaker from the military, whose "sacrifices" will be acknowledged at the ceremony. The Conservative government is strengthening the symbolic power of the military in public life by having a member of the Canadian Forces play a prominent role in citizenship ceremonies. In an operational bulletin issued earlier this year, the Department of Citizenship and Immigration said highlighting the service of members of the armed forces is a way to underline to every new Canadian the rights and responsibilities that come with citizenship. The bulletin, which describes military service as one of the highest expressions of citizenship, states that members of the military should be seated on the main platform with the citizenship judge, that they can stand in the receiving line congratulating new citizens and that they may give a two- to three-minute speech. Where possible, the bulletin says the preference is for veterans of the war in Afghanistan. The increased prominence of the military at these ceremonies is in keeping with other gestures made by Stephen Harper’s government. 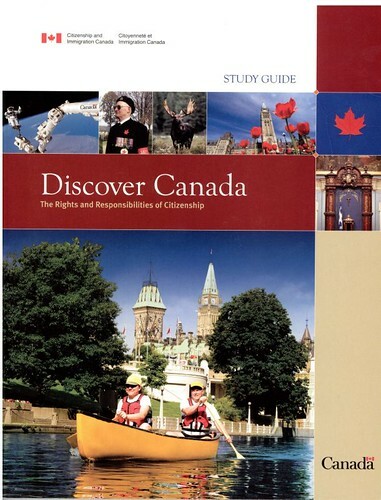 The new citizenship handbook, Discover Canada, for example, which was introduced by Minister Jason Kenney in 2009, placed much more emphasis on Canadian military history than the preceding guide. Michael Fellman, a professor emeritus of history at Simon Fraser University, said it’s part of a gradual militarization of Canadian culture under the Conservatives. “The Tories are in a long-range campaign to change Canadian values and make them more conservative,” Prof. Fellman said. “This is a way to show that the military is at the core of the meaning of citizenship. Mr. Kenney’s office did not respond to an interview request. I understand that many people believe that military service is an expression of patriotism. But there are many ways to express one's love or gratitude for one's new country. Why is a soldier addressing new citizens, rather than, say, a social worker? Or a peace activist - a volunteer from a local food bank - an ESL teacher? The citizenship ceremony should be as free from politics as possible. One could argue that the concept of citizenship is itself political. Certainly the questions chosen for the citizenship exam are biased towards a particular reading of history. But those biases speak to larger questions of identity, the nation-state, and how official histories are constructed. 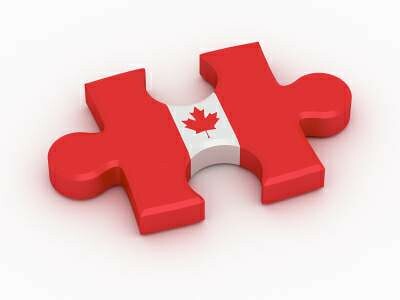 Within that larger framework, however, becoming a Canadian citizen should be politically neutral. For the Harper government, the citizenship ceremony becomes another opportunity for indoctrination. The inclusion of a military presence at the citizenship ceremony is also another example of the Harper government's politicization of the military, aligning the war in Afghanistan and the military in general with the Conservative party. I've heard from plenty of former Canadian reservists who do not vote Conservative and who despise this. In the US, the military is so overtly political that it took me a while to understand that this was not always the case in Canada. If Stephen Harper is on a quest to Americanize Canada, using the military as a political prop is an effective tool. For an in-depth look the politicizing of the Canadian military, see the Canadian Centre for Policy Alternatives' Harper, the Military, and Wedge Politics (pdf), by Steven Staples. Amid the deluge of fundraising appeals that arrive via email and paper mail this time of year, the letter from the Canadian Peace Alliance stood out for me. Under the "Canada First Defence Strategy," Harper plans to spend $480 billion on the military, open up eight new Canadian military bases, and showcase Canada's military in all aspects of Canadian life. Remember the citizenship guide that is now rife with references to the military but omits all referenc to Canada as a peaceful nation? (Short version here.) It's only gotten worse: citizenship ceremonies are now required to include a speaker from the military, telling new Canadians that military service is the highest form of citizenship. Thank [something] that wasn't in place when Allan and I became citizens. I don't know how I would have sat quietly through that. Harper's military agenda can't be seen in a vacuum. While spending lavishly on fighter jets and new bases, this government is telling every other ministry to tighten their belts: the next federal budget will call for $11 billion in cuts to public services. The only increase in public spending? Prisons - although most of that will be dumped on the provinces - which will necessitate even more drastic cuts in social spending. The Canadian Peace Alliance will work to oppose this in a far-reaching campaign: Peace & Prosperity NOT War & Austerity. They'll be reaching out to community groups across a broad spectrum of concerns - labour, social justice, environment, health, faith - to organize lobbying and street actions throughout the country, opposing the war and austerity Conservative agenda. 1. Read and sign the Declaration: Peace & Prosperity NOT War & Austerity. 2. Share the online Declaration with your network. 3. Download the Declaration, print it, and bring it to your meeting or holiday party. 4. Order postcards for your contacts to read, sign and return to the Canadian Peace Alliance. 5. Donate to the Canadian Peace Alliance. 6. Write a letter to a newspaper opposing the Harper military agenda. 7. Download and print a window sign, and hang it in your window. Increase the visibility of peace. 8. Speak out at every opportunity. Remember the Harper Government's new Citizenship Guide? It's working. Failure rates for immigrants writing citizenship tests have soared since the spring, when tougher questions and revamped rules made it harder for newcomers to become Canadian. People who are Canadian by accident of birth are required to do nothing but obey the law and pay taxes. Those who choose to become Canadian - people who uproot their lives and families, spend many thousands of dollars, often forced to start their educations and careers completely over, all for the privilege of living in Canada - are made to jump through hoops meant prove knowledge and loyalty. Yet Canada cannot survive without immigrants. The country's non-immigrant population growth is less than zero. And once people are here, it should be as easy as possible to become citizens. Don't we want to encourage immigrants to have a full stake in the country? To put down roots, to build a future, to vote? The idiots commenting on the news stories about this - themselves likely the grandchildren or great-grandchildren of immigrants - crow about Canada finally getting a grip, cracking down. About people "milking the system", the horror of hyphenated identity. Most sound like they can only dream of having the skills, resiliency and tenacity to emigrate to another country. Or for that matter, to brush their own teeth.